iBroken is dedicated to 100% customer satisfaction. Our highly trained technicians have spent countless hours bringing customers iPhone 6 Plus back to life. This experience ensures that your iPhone 6 Plus gets the best possible care that it deserves. Get your iPhone 6 Plus repaired in Calgary today! iBroken Canada is a customer satisfaction driven company. We are just regular people helping regular people. Broken iPhone 6 Plus + glass? Bad iPhone 6 Plus home button? We can fix it. Every single screw goes back to where it came from. The way it should be. Professional iPhone 6 Plus screen replacement, If you’ve tried to fix your iPhone 6 plus + screen repair yourself but aren’t able to finish the job, we can help with that too. You break it, we fix it! The iPhone 6 + is a smartphone developed by Apple Inc. It is part of the iPhone line, and was released on September 19, 2014. The iPhone 6 and iPhone 6 Plus jointly serve as successors to the iPhone 5C and iPhone 5S. The iPhone 6 and iPhone 6 Plus include a number of changes over its predecessor, including models with larger 4.7-inch and 5.5-inch displays, a faster processor, upgraded cameras, improved LTE and Wi-Fi connectivity, and support for a near-field communications-based mobile payments offering. Pre-orders of the iPhone 6 and iPhone 6 Plus exceeded 4 million within its first 24 hours of availability—an Apple record. More than 10 million iPhone 6 and iPhone 6 Plus devices were sold in the first three days, another Apple record. There has been a “per second” breakdown made of this incredible, record setting sales day that also shows how many units each previous version sold per second. iPhone 6 Plus glass screens, power buttons, and batteries began breaking soon after the release. The parts across for these models are the same and most repairs can be fixed within an hour. iBroken offers iPhone 6 Plus screen replacements Calgary in just 45 minutes. iBroken also is easily able to replace the dock connector on the iPhone 6 Plus in about 35 minutes. The Dock Connector on the 6 is the same component that regulates the charging, the Touch ID sensor, and the headphone jack. If your iPhone 6 has any issue pertaining to that listed above, this is the repair you’ll need. If your iPhone 6 Plus Camera doesn’t open or is blurry you may need a new camera. iBroken can replace this as well. 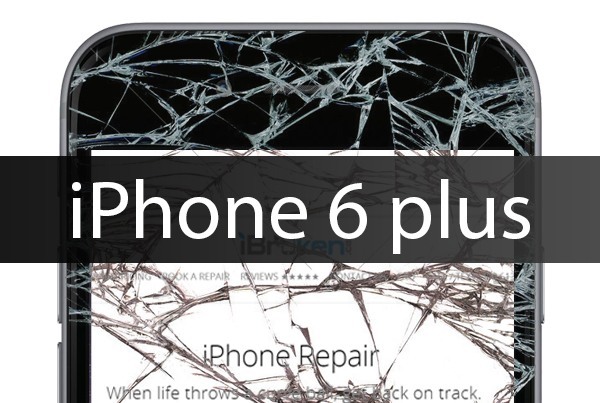 Contact us today so we can fix it and get your iPhone 6 Plus back up and running smoothly!